Mount Rinjani Trek – Indonesia is rich in its natural beauty. Mountains, sea, rice fields, all show how beautiful Indonesia is. One of Indonesia’s natural attractions is Mount Rinjani. Mountain with an altitude of 3726 mdpl this, is indeed one of the choice of climbers, both climbers in the country and from abroad. How not, the story of its scattered beauty, making every climber to be challenged to explore the mountains located in Lombok, West Nusa Tenggara. 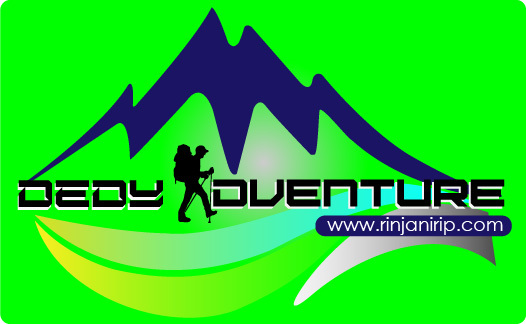 Terrain climbing Mount Rinjani at Lombok Adventure Travel, can be said not too difficult, if it has found the right way. There are several commonly selected the trekking path, namely Sembalun, Senaru, Timba Noah, and Torean. Usually, the climbers favorite route is Jalan Sembuh, because the track is quite easy compared to other climbing routes. At Jalan Sembari Sembuh, you will pass through a flat meadow. But it is important to note, sunscreen cream is highly recommended given the air can feel very hot during the day. But, in the afternoon, the air around the savanna is not too hot, and you can also enjoy the melodious birds chirp. There are 4 posts. That must be passed on climbing Mount Rinjani this, that is post 1, post 2, post 3, and the last is writing Plawangan Sembalun. In this climb, it is advisable to bring enough drinking water, because not all the posts you pass there are springs. The beauty of Mount Rinjani can not be expressed in words. Both in the morning, afternoon, afternoon, and evening, the charm of Mount Rinjani always looks magnificent. Especially at night, Where you will see the beauty of the star-studded sky. Especially if you see it while lying outside the tent like a beautiful blanket of glittering stars. It is an experience that will never be forgotten. One place that is not missed by climbers on Mount Rinjani Trek is Lake Segara Anak. Rinjani trip Adventure Travel with Ded’y has been engaged to rinjani mountain climbing for years with a wealth of experience. Guided by our reliable and professional guide guarantees safety as you adventure towards Mount Rinjani. If you are planning a trip to climb Mount Rinjani. Then we provide some mountain climbing rinjani package that you can choose according to your wishes. So we are ready to serve you with pleasure. Climb the summit of Mount Rinjani Trek within 2 days 1 night starting from the village to the grave of puncture at night. Then on the second day at 3 o’clock in the morning. Will proceed to the highest peak of rinjani mountain. And then back to palembang sembalun and the rest back to sembalun. This program is intended for those of you. Who have special experience in the field of climbing. Because you have to have endurance or extra ability to walk for 8.5 hours per day. Climbing the peak of the Mount Rinjani Trek within 3 days 2 nights starting from the village to the palace puri sembalun at night. Then on the second day at 3 o’clock in the morning will proceed to the top of the highest mountain of rinjani. And then back again to palembang sembalun and the rest back to sembalun. This program is for those of you who have the experience of climbing the mountain but can be reserved for those of you. Who have little experience climbing the mountain. For those of you who want to experience climbing Mount Rinjani by walking up and down with a period of about 5.5 hours per day. Climbing the peak of the Mount Rinjani Trek within 3 days 2 nights starting from the village to the palace puri sembalun at night. Then on the second day at 3 o’clock in the morning will proceed to the highest peak of rinjani mountain. And then back to palembang sembalun and the rest back to sembalun. This program is intended for beginners who have never had previous mountain climbing experience. And can also be used for those who already have experience in climbing to add your experience in mountain climbing. For those of you who want to have experience climbing Mount Rinjani you will walk about 4.5 hour per day. The all of package was include Head lamp, Extra Porter to carry your personal item, flight ticket. And tips for driver, porter, and guide. Apart from our services for adventure travel experience we also provide various services such as meeting. 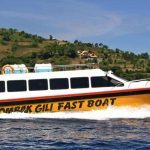 The Gili islands located on the island of Lombok Tours, providing hotel or home stay. Then we provide pickup and delivery wherever and wherever. If you are interested in using our services you can contact us directly through our contacts we provide on our website.